Federal agency admits that 62% of applications for assistance made by Puerto Rico residents to repair their homes have been rejected or are "in process," although it hides details about what are the main impediments for granting solicited aid. Armando Vega Martínez anxiously awaits for the day he can have a home again. 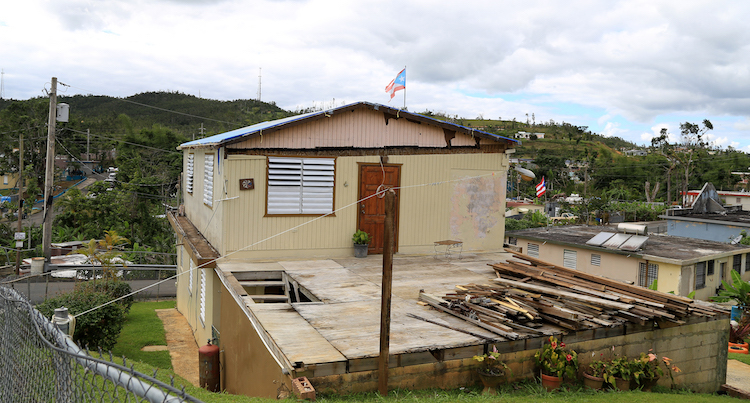 The house in which he lived, among the mountains of the Guaraguao neighborhood in Ponce, was completely destroyed when an adjacent structure fell on it after succumbing to the powerful winds of hurricane María just over four months ago. To find a new home, the 69-year-old man has $13,000 that was recently awarded to him by the Federal Emergency Management Agency (FEMA), to which he appealed for aid the same way as roughly one million people have done. “With that, nowadays you can’t even have two ‘zocos’ [or house pillars],” Vega Martínez assured, still struggling to verbalize what he experienced that September 20. “We have gone through hell. The house is beyond repair,” he added. The survivor of Hurricane María lives today in a house located on a farm owned by his son, but according to Vega Martínez, he can’t stay there permanently. His daughter, Ana Vega Bruno, has tried to help him find a safe roof, yet to no avail. “With only $13,000, we can’t find something at that price anywhere. I have tried… I have tried. $13,000 is nothing,” the 45-year-old woman said. Aware that the amount assigned by FEMA won’t allow them to buy or build a new house, and without any other available income, Vega Martínez and his daughter went a few days ago to the Anselmo Rivera Matos School, in the La Mocha sector in Ponce. There, a group of entities came together to offer free guidance on the appeals process before the federal agency. Vega Martinez wasn’t alone in his claim. Dozens of people went that day to the school campus, located on a steep road in the rural area of Ponce. They wanted to know what steps they should take to prevail when requesting a reconsideration to FEMA. For some, the first question was basic: Why did FEMA deny them help if they lost everything and have nothing to make up for the damage? Elney Jiménez Ocasio lives in the neighboring sector of Montes Llanos. Before the hurricane slammed the island, the concrete house in which he resides had a wooden structure built atop its roof that was made rubble by the Category 4 storm, according to the 62-year-old man. Upon notifying him that he wasn’t eligible for assistance, FEMA indicated he didn’t? prove that the structural damage in his home was related to the hurricane. Jiménez Ocasio, who makes a living in the construction industry, is convinced this is not correct. He assures that in the nearly 40 years he has been living there, he had never had problems with leaks and now the building has cracks and moisture stains in different parts. “There were tremors during the hurricane. I felt tremors in the house. The walls are eight inches thick, it is not a thin wall, and that house shook. I live on a mountain and the wind comes from everywhere. The ‘virazón’ [when the wind direction changes after the calm eye of a storm passes] was even worse. The vibrations, they were tearing the upper structure, everything was falling. I understand that was what contributed to the cracking of the roof,” he said while waiting for his turn to receive legal guidance. Jiménez Ocasio fears that the situation in his house will worsen to the point that his roof could collapse. He said that when an inspector went to his house to evaluate the damage, he agreed with Jiménez Ocasio and his assessment of the deterioration made by the upper wooden structure. Nevertheless, the inspector stressed it was FEMA which had the last word. “I was surprised because I thought that the inspector was the one who made the decision because he was the one who was seeing the problem, and he knows if it is recent or something from before,” he commented. In addition to the flags raised by FEMA in determining the source of the damage, Jiménez Ocasio faced yet another inconvenience that makes it even harder to obtain the aid he seeks. Although he claims to be the owner of the residence, he doesn’t have any document that certifies his owner’s right over the property. Homeowners affected by a hurricane can access funds to repair the property. In the case of tenants, they can only receive assistance to compensate for the loss of personal items inside the house. “It is an inheritance, we haven’t done the distribution. That deed was from my parents, and no [other] deed has been made as such. I would need a declaration of heirship, invest money that we don’t have, because it comes out to be… We are many, we are eight [in the family], and some have died. We would have to deal with the children. Everyone agrees that I live there, so why am I going to segregate if I don’t have the money, to begin with, and the family doesn’t care who lives in the residence,” he said. Proving ownership of a property to FEMA is a problem that shows up throughout Puerto Rico. 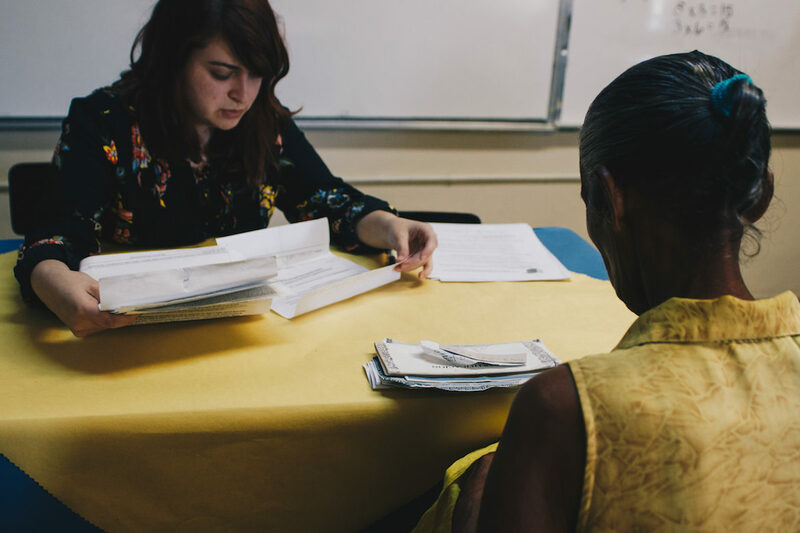 It is one of the main obstacles that prevents the assistance of the federal government from reaching those who need it, according to lawyers from various entities dedicated to promoting greater access to justice for low-income populations. Ariadna Godreau Aubert, a lawyer and coordinator of Legal Aid Hurricane Maria, an organization that provides legal orientation throughout Puerto Rico, confirmed that one of the main motives for ineligibility raised by FEMA so far has been the lack of evidence to prove property ownership. “FEMA is not prepared to understand the situation of ownership and management of property rights on the island. The reality is that you have many communities, many families that live in a house that belonged to their grandmother, for instance, and that have lived there forever, and that simply don’t have a title deed. But it is their home, they have lived there for 50, 60 years,” argued the lawyer, who also coordinates the Access to Justice Working Table. “Or you have those families that live together on the same lot and have never segregated because people don’t have money to segregate. It is an expensive process that requires knowledge, legal advice, etc. So FEMA simply says, ‘Ah, you have no title deed, so no [you can’t receive the assistance].’ Or they ask for documents that are very expensive, especially after the hurricane,” Godreau Aubert added. Not proving occupation of a home or that there is enough damage related to the hurricane, the existence of multiple claims at the same address and the inability to contact claimants are among the other reasons that FEMA has raised to deny aid, according to the lawyer. So far, the Legal Aid Hurricane Maria group has served roughly 2,300 people and visited more than half of the Puerto Rico’s 78 towns. FEMA couldn’t provide information that explains in detail the reasons for determining ineligibility. At the request of the Center for Investigative Journalism (CIJ), Daniel Llargués, a spokesperson for the federal agency, briefly stated that until mid-January, it had received almost 1.1 million applications for disaster assistance under the Individual Housing Program, of which 413,605 had been approved. In other words, 62% of applications have been rejected or are deemed “in process,” a figure that FEMA couldn’t specify either. The CIJ obtained a copy of a document that FEMA produced for official use that specifies the number of applications submitted in each municipality, the number of eligible claimants and the amount of funds disbursed so far. According to the document dated Jan. 3, Isabela has the lowest eligibility rate with 40.38% while Cataño has the highest with 53.35%. Although the reasons why a person is ineligible for assistance are sorted within 41 different codes, Llargués indicated that the agency lacks information that shows what are the most common reasons for rejecting requests for assistance on the island. He noted there are cases waiting for adjudication, while others have deficiencies with the application that can be corrected, such as submitting a document or signature. Llargués further explained that the number of filed claims could include duplicate cases within the same family unit. “FEMA assistance varies from survivor to survivor, depending on their needs and the impact they suffered because of the storm. Of the 1.1 million [applications], you will have referrals [for loans] to the Small Business Administration, people who withdrew their application, people that are pending because we are waiting for information, and duplicate cases,” the spokesman for FEMA said. “There are many cases, different reasons why someone doesn’t receive aid or hasn’t received it yet, but still qualifies. The idea is that the survivor comes to us to talk in person, to give him the guidance he requests. Initially, that letter will say that he is ineligible for assistance, but they should visit us or call us at the Disaster Aid Center so that we can make a formal letter of what he needs,” he added. A house in Las Mareas, Salinas, Puerto Rico. The process of inspecting property damage is key when determining if a person will have access to FEMA assistance. In that task, multiple factors could affect whether a person receives the solicited aid or a notification of ineligibility without apparent justification, warned two inspectors who were on the island for about two months carrying out inspection efforts. The inspectors, who spoke on condition of anonymity for fear of reprisals, traveled in October from the U.S. mainland to Puerto Rico as part of the Vanguard Emergency Management staff, one of the companies subcontracted by FEMA to undertake inspection efforts. The federal agency also has similar contracts with WSP USA Inspection Services. “They [Vanguard] recruit people and they do not give them information, so you realize how things work when you get here. When we arrived, we only knew what we saw in the news. There is a lack of information from these companies… People go out without knowing what they are doing and that can make the difference between someone who receives help and someone who doesn’t, and that happened a lot,” warned one of the inspectors, who has previous experience with other natural disasters. In describing the most notable flaws in the process, she mentioned a lack of and inconsistency in the training of inspectors, as well as victims’ unfamiliarity with the procedures that these evaluations follow. The source further said that, before going out to examine the residences, inspectors receive online training on the various natural catastrophes they might face while working for FEMA, as well as technical details about the software used when assessing the damage and how they will enter that information into the system. Once inspectors arrive at the disaster area, they receive about eight hours of additional preparation on certain particularities of each location. However, the sources assured that some instructions are given on the fly, while not all inspectors get the same set of instructions or received them at the same time. For instance, they mentioned that when they arrived to Puerto Rico, they noticed that some colleagues who had already been deployed to different regions of the island didn’t know how to assess faults in concrete structures, nor enter them into the system. “Here [in Puerto Rico] almost everything is concrete. We don’t receive any specific explanation on how to assess concrete in homes. They didn’t tell us anything, so at first, the inspectors would say, ‘It is not covered.’ 90% of the walls are concrete and they never taught us… I think that the people who received the assistance early probably got less because the company was learning,” she said. Another obstacle, both sources affirmed, has been the use of English in many of FEMA’s communications. “I went to houses where they asked me to read the letter from FEMA because they couldn’t understand what it said because it was in English,” one of the inspectors recalled. Serious problems with telecommunications, which still persist to this day in some areas, also affected the communication between FEMA and claimants. Those difficulties, the two contractors mentioned, delayed the provision of aid since each inspector had three days to contact the claimant, and if they failed to establish contact within that period, the case would be reassigned to another employee. One of the sources clarified that this reassignment didn’t mean that the case was closed, but also stated that she visited some houses in which the claimant said that his case had been withdrawn without having had contact with an inspector. When a case is withdrawn, the claimant must voluntarily express to the inspector that he or she no longer wants or needs FEMA assistance. If this happens, the case is closed, but the inspector still charges for the job, the source explained. “Some people were removed, and they weren’t supposed to be,” she said. The brief FEMA notification fails to explain the specific criteria used by the agency to deny eligibility to a claimant. All these challenges add to the various blows faced by the victims during the past four months, sometimes discouraging them from seeking an appeal. FEMA warns victims that have been declared “ineligible” that they can appeal if they differ from the agency’s decision. But this process is only done in writing, by mail, fax or internet, and the appellant must include documents and information that prompt a change to the determination made by FEMA. It sometimes requires legal assistance. If a lack of evidence on property ownership is indicated, appellants could present documents related to the mortgage, some insurance on the property or taxes paid on the structure, in addition to the title deed. If these documents aren’t available, appellants have been instructed to submit an affidavit stating that they own the property. “The precariousness in Puerto Rico is at such a high level that it affects physical and emotional health. People get fed up if they receive a rejection, they get depressed. The emotional shock in Puerto Rico due to so much damage is strong. The lack of knowing what criteria were used to evaluate properties not only causes the person to say, ‘My neighbor received so much, and I got so much,’ and then gets depressed, but also the lawyer who helps with the appeal won’t be able to do his best with the case,” said Adi Martínez Román, a lawyer and executive director of the Fund for Access to Justice Foundation. “To seek an appeal because you are dissatisfied with the amount granted, you need to know the criteria they used to evaluate it,” said the executive of the entity that created an emergency legal fund to finance organizations that provide legal services to those affected by Hurricane María. The second floor of a residence in the Beatriz community in Cayey, Puerto Rico was destroyed by Hurricane Maria. The fact that so many people haven’t obtained federal assistance to repair or replace their house after Hurricane María could worsen the problem of informal housing on the island. Liliana Cotto Morales, a sociologist, warned that in the absence of a safe home for the victims, the number of illegal occupations of land or structures could skyrocket. “María exposes all these contradictions and inequalities. Many people now have discovered the poverty that existed in Puerto Rico before María. But everything has become more serious, the poor have become poorer, and those who weren’t poor, have now become poor,” she said. “People are not going to let themselves die, so there may be an increase in occupations by people that are desperate. ‘There is no one in such place or building, so there we go.’ That can be the process if it is not taken care of,” said Cotto Morales, who added that problems of overcrowding in some homes could also occur as well as an increase in outmigration. The expert in occupations—or rescues—of land stressed, however, that the current situation should encourage the coordinated participation of communities, municipal administrations and the state government, not only to achieve recovery, but also to develop new forms of community organization and housing models. “There may be two paths going forward. One would be to reproduce the cycles we were seeing. It will increase the number of people with inadequate housing. But I see a way in which people keep improvising; or in which a development of a housing model with support from municipalities and communities is learned,” she said. Governor Ricardo Rosselló Nevares acknowledged that informal housing is a serious problem and argued that is a priority for his administration. On February 5, he vowed to deal with it, announcing the use of a $1.5 billion allocation from the federal Department of Housing & Urban Development (HUD). “Certainly, informal housing in Puerto Rico is a significant problem, it is part of our public policy to address it, and that will be included in the plans that are going to be unveiled,” the governor said during a press conference in San Juan. The HUD assignment is part of the first disaster aid package approved last September by President Donald Trump’s administration. Of the $7.4 billion legislated to this end, Puerto Rico received $1.5 billion under the Community Development Block Grant-Disaster Recovery section (CDBG-DR), a program that provides community development subsidies. The funds, however, won’t be available immediately. Within the next 90 days, the commonwealth government will have to prepare a plan detailing how and for what purposes it will use the money; hold public hearings to obtain comments from interested parties; and then submit the plan to the federal government for its approval. HUD Deputy Secretary Pamela Hughes Patenaude approved the use of these funds to tackle the homeownership woes on the island. “If the governor says, along with his Housing team, that it is something they wish to attend, it would be an eligible use of CDBG-DR funds,” the federal official told the press while participating of the announcement made last week at the governor’s mansion, La Fortaleza. The subsidy could also be used, among other things, for the renovation or rehabilitation of homes; the construction of new housing; for certain public facilities; to support nonprofit organizations, businesses and municipalities; and to complete the matching of funds under various federal programs. The projects must cover needs that have yet to be addressed by private insurance or other federal assistance such as that provided by FEMA. 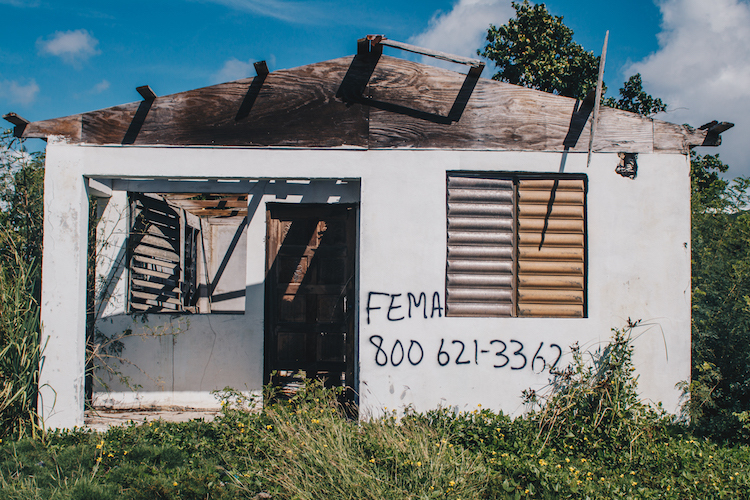 The discontent among some of the victims for the treatment received from FEMA made its way to the Civil Rights Commission (CRC), which has received at least five complaints from people who argue that the federal agency has discriminated against them. Ever Padilla Ruiz, a lawyer and executive director of the CRC, said that all five complaints have been filed by transsexual people to whom FEMA has rejected their request for assistance because their name doesn’t match the one that appears in their records. “They are people who even had their name change by court decision and it doesn’t appear in the FEMA database. They appear under their previous legal name. When they search for the Social Security number, another name shows up that is not aligned to their gender identity,” Padilla Ruiz said. “This is an aggression and a lack of recognition of the identity of these people… The only reason they don’t offer the service is because they don’t recognize the gender identity that the person has assumed, which shows that the federal agency is not sensitized to the reality of diversity,” he added. Padilla Ruiz acknowledged that the CRC lacks jurisdiction to act against an instrumentality of the federal government. For this reason, he sought to discuss the situation directly with Alejandro de la Campa, director of FEMA for Puerto Rico and the Caribbean, but his request for a meeting has yet to be answered. Nor has he received a reply from Johanne Vélez, a lawyer and quality of life adviser to Gov. Rosselló, to whom he appealed to intercede with the federal government to try to solve this problem.